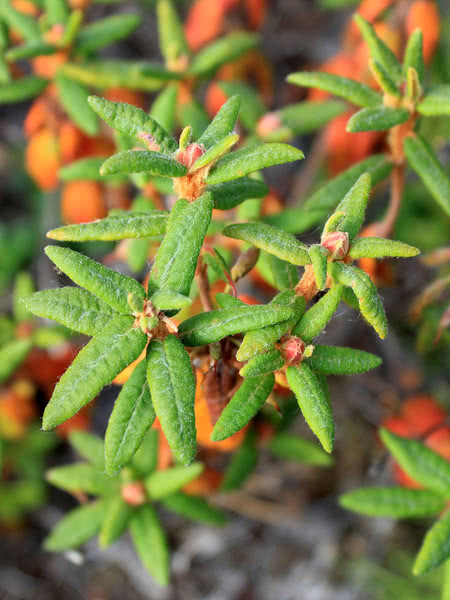 Labrador Tea is slow-growing evergreen shrub native to the boreal forests of Canada. It thrives in wet, swampy conditions. 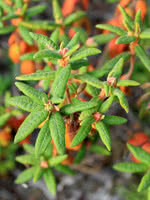 Labrador Tea has narrow, leathery, dark green leaves, topped by a cluster of white flowers in the spring. It is a perfect ornamental shrub for boggy, wet areas of your property.